In the centre of the domed brushed 18ct yellow gold ring is a round tension set diamond. The shank is in polished 18ct yellow gold. 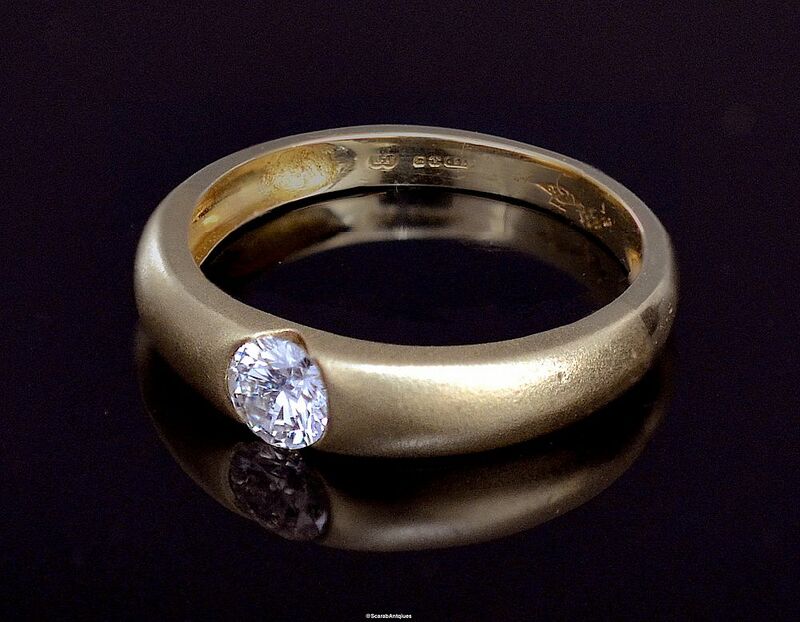 It is hallmarked by the London Assay Office for 18ct gold and 1996. 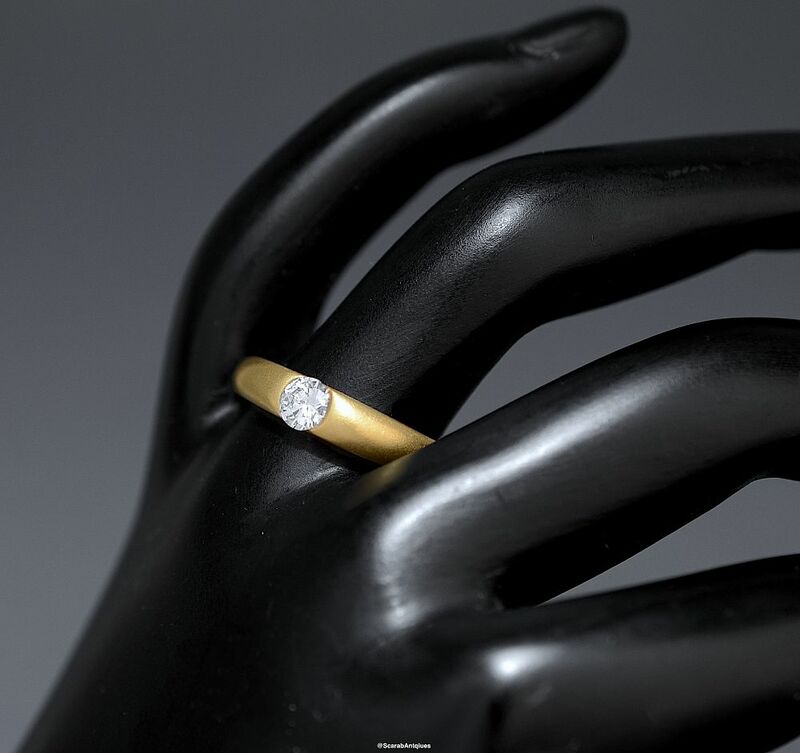 Technically a gent's ring the style is classic elegance that makes it equally wearable for a woman.